To answer these questions, we have to look at what makes a work eligible for copyright and what right a museum has over the artwork shown in its galleries. What Types of Creative Work Can Receive Copyright Protection? An example of art that cannot be reproduced perfectly would be performing arts like dance moves live performances or speeches. In order to reproduce those perfectly, they need to be recorded onto something tangible like a film or a recording. In that case, the recording of the performance can be perfectly reproduced but the live performance itself cannot. Because the next time the artist performed, it would not be exactly like the prior performance. So, if a work fits these criteria; original, tangible and creative, then copyright is automatic and immediate. For example, if you take a photo of your friends with your iPhone camera, the photo is automatically copyrighted because 1) the composition of the photo such as the placement and position of your friends and the setting is unique and original; 2) the choices you made when taking the photo, such as the angle and distance is considered creative; 3) the photo is captured by the camera sensor so it is fixed in a tangible medium. All three criteria are therefore met. (note: registration with the US Copyright Office is not required but doing so has some advantages –see Why is Copyright Registration Important?). The definition of limited time has changed over the years making it difficult to know when a work no longer has copyright protection, however, one rule you can always count on is that any work created before 1924 is in the “public domain,” meaning it has no copyright protection and is free to use in any way you like. 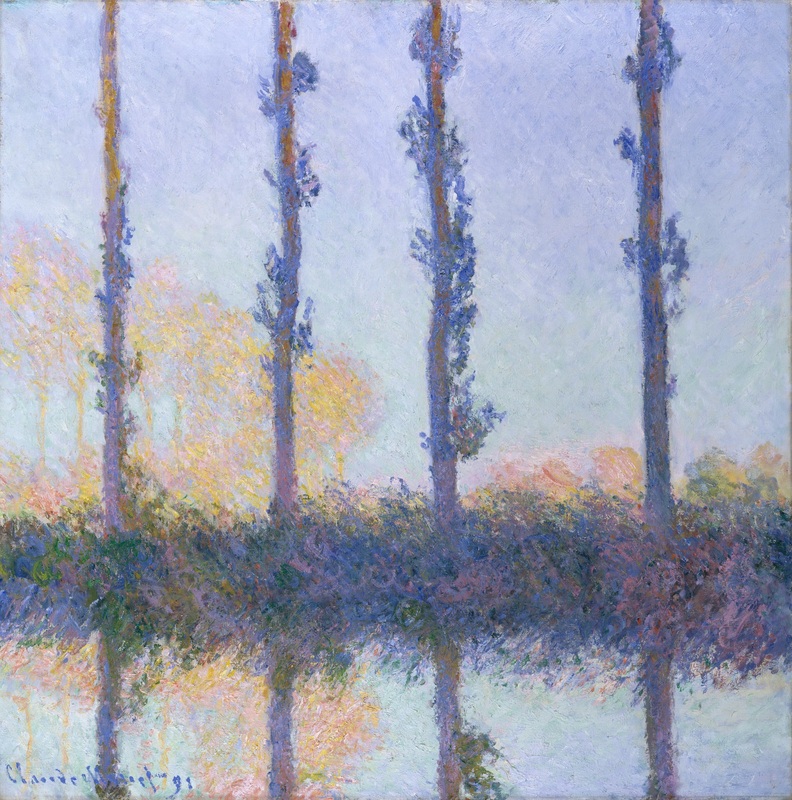 Is The Met’s Monet Poster Protected By Copyright? So How Can the Met Museum Claim Copyright In The Monet Poster? 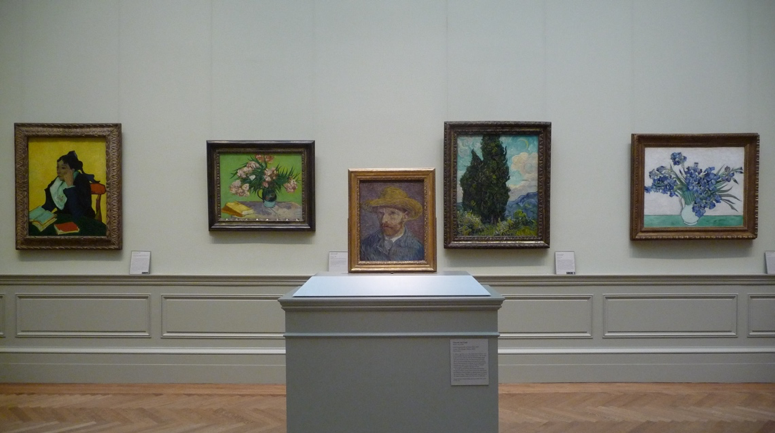 For example, the photo of Van Gogh’s Self Portrait taken at the Met Museum (shown below) is copyrightable because the Van Gogh is not the sole component of the photo. The photo includes original components such as the angle, depth of field, the perspective, and distance from the work that are all creative choices. However, if the work was not in the Public Domain, let’s say an artwork by Andy Warhol, then the photo could get copyright protection after disclaiming the copyrighted elements, but couldn’t be copied, distributed, or publicly displayed without permission from the copyright holder( i.e. the Warhol Foundation. Taking a photo that includes the surrounding location can be copyrighted. Watch Out for the Museum’s Terms of Service. Have you seen any museums try to assert copyright on works from the Old Masters? Let us know in the comments below.